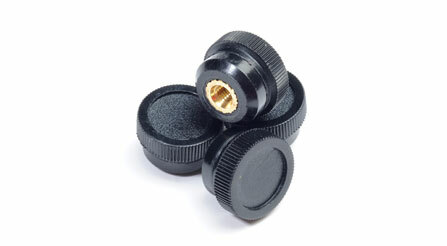 The test paddle knobs have a brass insert that includes a test jack receptacle. 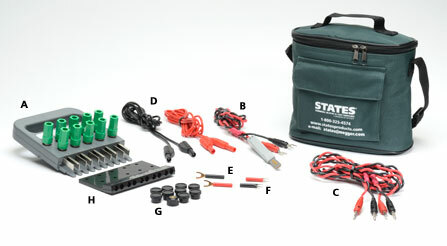 It accommodates both banana and safety plugs on top and has a 10-32 thread on the bottom to accommodate lug adapters. 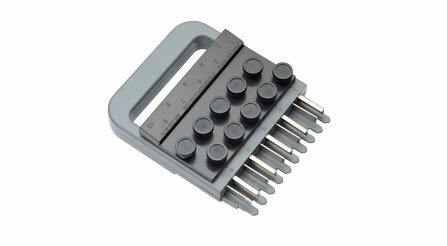 The 10 and 14 pole potential test paddles are feature packed and have been designed to make a test technician's job easier. 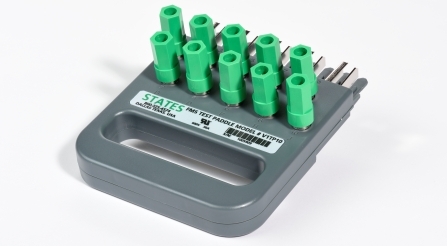 While the V1TP10, 10 pole test paddle, can be used on most competitor 10 pole test switches, the STATES FTP14, 14 pole paddle, is only compatible with the STATES FMS 14 Pole Test Switches. 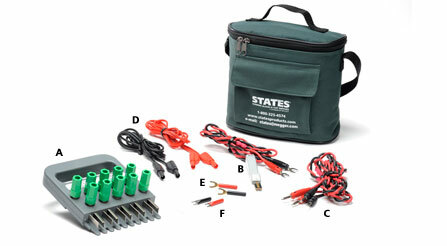 Test Lead Kit Part Number CV1TPKIT (pictured with 10 pole test paddle). 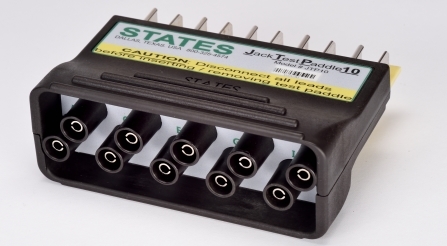 The TPA10 Test Paddle Attachment gives you more ways to connect when using the STATES V1TP10, 10 Pole Test Paddle, for testing. 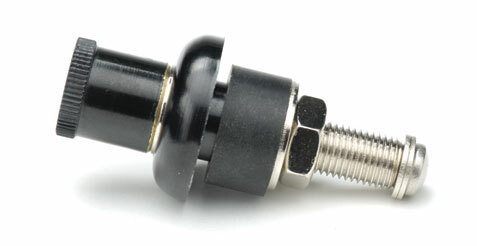 Small, black test paddle knobs for securing TPA10 Attachment to test paddle. 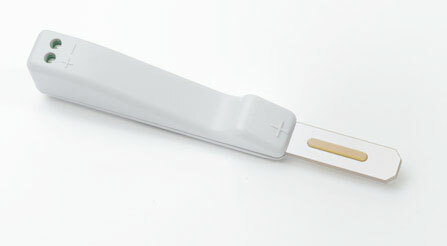 Includes V1AT10 10 Pole Test Paddle, TPA10 Test Paddle Attachment and Black Knobs. 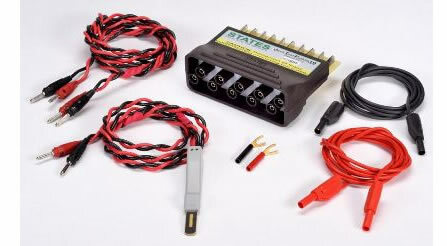 Used in connection with the current shunt jack on States test switches, this plug provides a safe, quick connection for indicating or testing instruments without opening current transformer secondaries or disturbing permanent wiring. 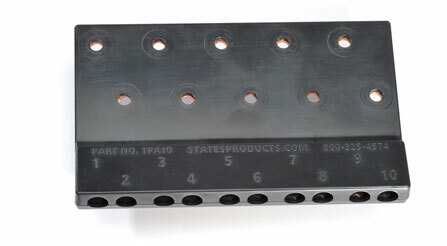 The plug is easily inserted at right angles to the test block. 15000 with leads, red and black spade lugs. 15000 with leads, red and black banana jacks. 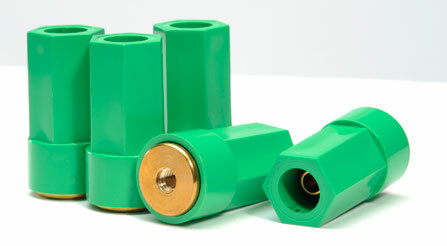 The body is a bolt with internal and external thread and can be fastened securely to the switchboard or other base by one hex nut. 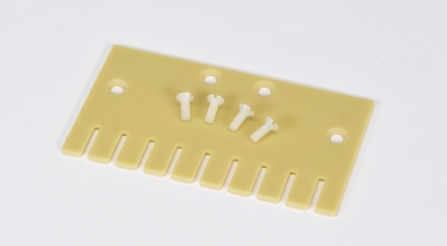 The binding head and stud collar are made of molded phenolic. 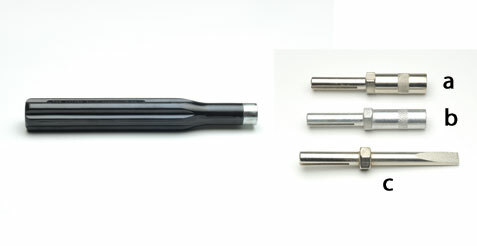 The head screws into the body with a long thread that makes a good contact and prevents the tendency of the head to fall off and become lost. 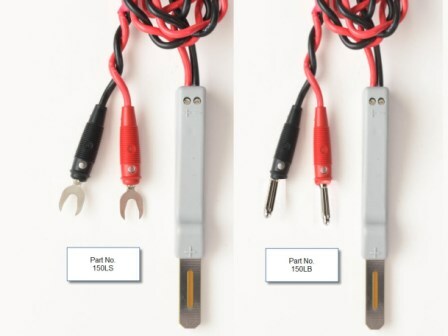 All metal parts are brass. 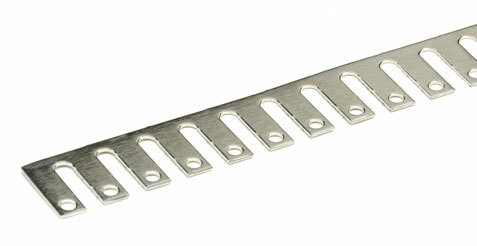 This nickel-plated jumper strip is made specially for the STATES Type NT & ZWM Terminal Blocks and the STATES Type MTS Test Switches.